Mathematics borrows from life and also gives back to it. People understand the concepts they would find excitement where they earlier felt trepidation about the subject. 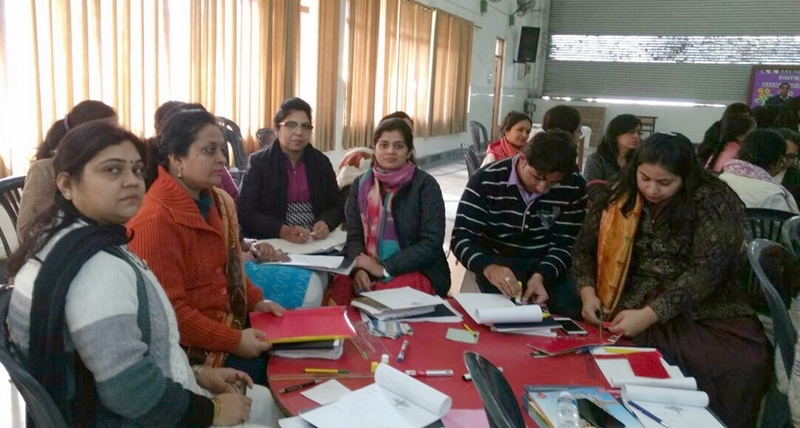 With this conviction Britanica Encyclopedia conducted a workshop in N. K.Bagrodia Public School,Dwarka on Effective Teaching of Mathematics.Resource person for this session was Mrs Rajalakshmi Jayaraman. It was an interesting and fruitful Workshop. Various concepts like fractions, decimals, division, multiplication, square and square root, cube and cube root , divisibility test were taught by using kit and tricks were explained for quick and easy calculations. The resource person discussed how to make the base of young learners by teaching through activity . Through these activities young minds can relate themselves with Mathematics. Some vedic mathematics techniques were also discussed . It was indeed a great workshop with unconventional ,inexpensive and friendly teaching techniques so as to ensure that the subject enhances people’s lives rather than just being something synonymous with numbers.